The grandparent to the modern Dry Martini. Combine ingredients in mixing glass, add ice, stir, then strain into a chilled coupe, and garnish with an orange twist. 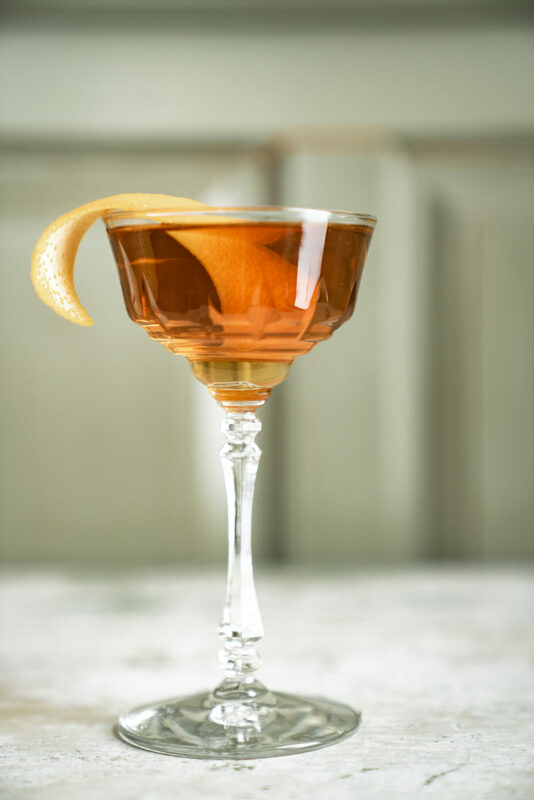 The original recipe was 2 oz Sweet Vermouth and 1 oz Gin, which makes for a delicious aperitif and lower ABV cocktail. Try it either way. It works well with our Barr Hill gin as well!